Finsys Infotech Limited - HS Code in india What ? why ? where ? Links ? What ? why ? where ? Links ? 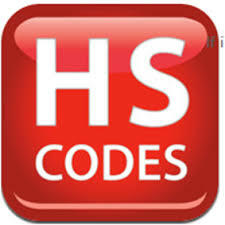 Finsys ERP has been configured to print the HS code you decide, and you make. You are currently free to use all combinations --- 4 digits, 6 digits and 8 digit HS codes. You will get what you enter in the ERP. What does HS code mean ? With GST regime, the Indian Government is moving toward the International HS Code. Fundamentally, the HS is organized economic activity or component material. For example : Steel is Chapter 72.00.00.00 , for all the possible varieties of Steel. Chapter 73 is tariff for iron and steel articles, 999999 tariffs are mathematically possible under each chapter. You want Link to HS Codes ? ﻿* The Indian Official site on GST.GOV.in has not yet hosted the full Tarriff List. ** ﻿Probably this delay is intentional, since the official list is going to contain all 8 digits, and currently the Government has assured the small traders that they can forget the 8 digits for time being. In GST regime, get ready to adopt the 8 Digits very soon. You will get what you enter in the ERP.